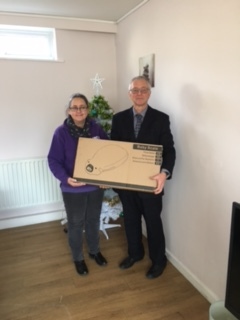 Caradoc Lincoln Ltd has generously donated baby scales which will help new families in Gainsborough. 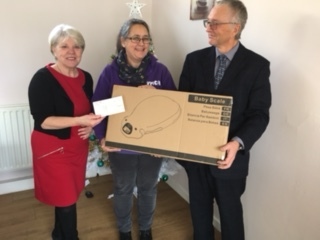 At the end of 2018 Zara Smith, Senior Childcare Manager, put out an appeal for a set of baby scales to support a pop-up clinic being run at YMCA Beginnings Day Care in Gainsborough. With the help of BBC Radio Lincolnshire’s Make a Difference feature, Zara was able to spread word of the appeal across the county. Paul and Heather Barczak from Caradoc Lincoln Ltd responded to the appeal and kindly presented the scales to Zara just before Christmas along with a generous £100 cheque to go towards the project. The pilot project has already helped more than five families in its first two sessions. The next clinic dates are: Thursday 17 January, Thursday 21st February and Thursday 21st March. To book an appointment please call the Health Visiting Team on 01522 543 000 or alternatively call YMCA Beginnings Day Care on 01427 679 806.